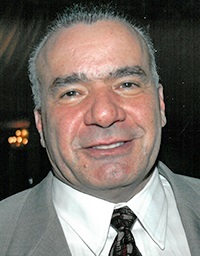 Police Officer Anthony Maggiore died as the result of a cancer he developed while assisting in recovery efforts at the World Trade Center site following the 9/11 Terrorist Attacks. He was one of 15 officers from the Yonkers Police Department's Emergency Services Unit who responded to the site. Officer Maggiore had served with the Yonkers Police Department for 20 years. He is survived by his wife and four children. God rest your soul my brother. I was there and we may have crossed paths, but I didn't get a chance to thank you. Blessings to your family and department for your great loss. Until we meet to thank you.